She earned her Master's and worked many years in Human Resources, Social Services and Gerontology. Barbara has a passion to listen, encourage and pray for others and has a site dedicated to wounded souls as they write and share their stories with her. Barbara shares her story to inspire others who are faced with seemingly 'senseless' abuse and injustice to rely on God and discover that His grace truly is sufficient come what may in this life. “Many of us know about God’s promise that His grace is sufficient for whatever trials and tribulations we face in this life. Barbara Reed knows this truth firsthand. Her story is a living testimony to the fact that God’s grace is sufficient and His strength is made perfect in weakness. After losing her mother at an early age, Barbara and her siblings were abandoned and placed in an orphanage. When they were adopted into what seemed to be a ‘normal’ family, the dream of ‘happily ever after’ turned into a horrific nightmare of verbal, emotional, and physical abuse that continued for decades. Thanks to the grace and mercy of the Lord and the strength of her will to survive, Barbara never succumbed to the easy road of becoming bitter and hateful. She never responded to such evil in kind nor let evil overcome her. Instead, she overcame evil with good championed the cause of the underdog—from protecting her siblings as a child to providing loving nurture to her own children to befriending the homeless and outcasts on the streets. 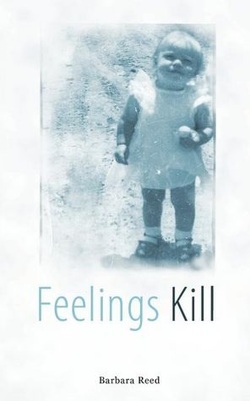 In Feelings Kill Barbara shares her story to inspire others who are faced with seemingly ‘senseless’ abuse and injustice to rely on God and discover that His grace truly is sufficient come what may in this life.”—Scott Philip Stewart, Ph.D., Christian Counselor and author.